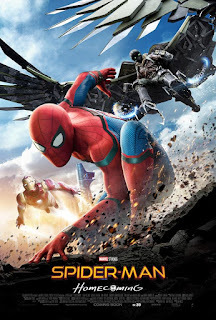 Columbia Pictures has just announced today that the official Spider-Man character will be in town this Saturday and Sunday, June 10 and 11, to make live public appearances and engage with fans. The Spider-Man character visit is in conjunction with the release of Spider-Man: Homecoming which opens in Philippine cinemas on Thursday, July 6, 2017. Directed by Jon Watts and produced by Kevin Feige and Amy Pascal, the screenplay is by Jonathan Goldstein & John Francis Daley and Jon Watts & Christopher Ford and Chris McKenna & Erik Sommers. Screen story by Jonathan Goldstein & John Francis Daley. Based on the Marvel comic book by Stan Lee and Steve Ditko.